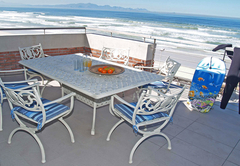 Bluebird Penthouse Muizenberg Beachfront is a property providing self catering in Muizenberg for up to 8 guests visiting the False Bay region. 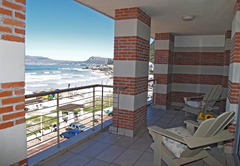 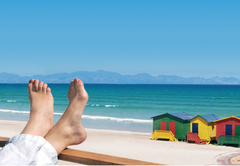 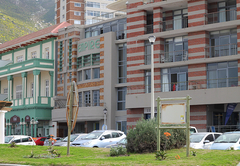 Bluebird Penthouse offers accommodation in a beachfront apartment in Muizenberg, a laidback beach suburb of Cape Town. 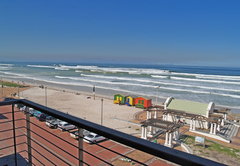 The area is known for its sandy beaches, the famous Surfer’s Corner, great architecture, historic museums and friendly people. 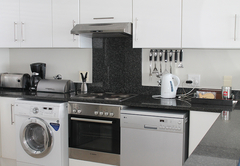 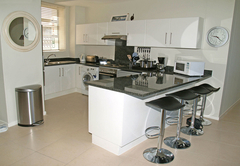 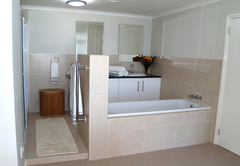 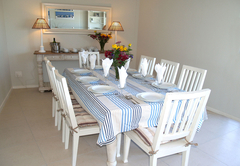 The self catering apartment can accommodate up to six adults and two children. 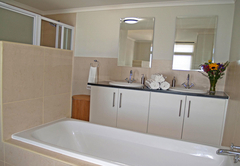 There are three bedrooms and three bathrooms. 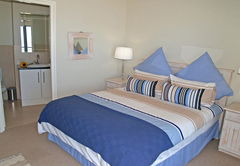 The main and second bedrooms are each furnished with a double bed and have an en-suite bathroom. 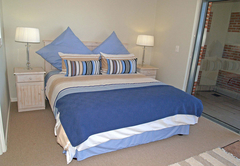 The third bedroom has two single beds and makes use of a separate bathroom. 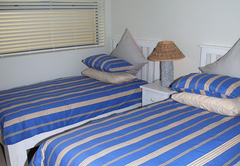 There is a sleeper couch in the lounge for two small children. 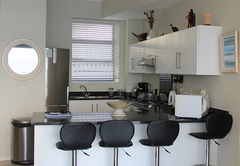 Bluebird Penthouse has an open-plan kitchen and living area. 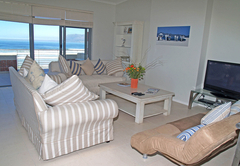 The lounge is comfortably furnished and equipped with DStv. 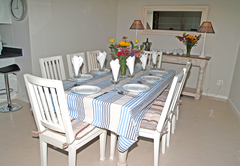 The dining area has seating for eight guests while the fully equipped kitchen has a breakfast bar with stools. 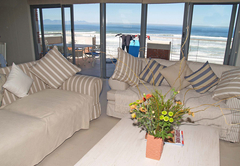 The living area opens up onto a furnished balcony and spectacular views of the sea. 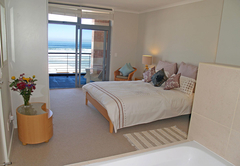 Perched high above Muizenberg Beach, our lovely 3 bedroom duplex, Penthouse offers the ultimate in luxurious accommodation, with panoramic views of False Bay and the beach below. 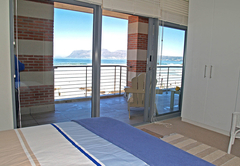 Response timeBluebird Penthouse Muizenberg Beachfront typically responds to requests in 5-10 minutes.